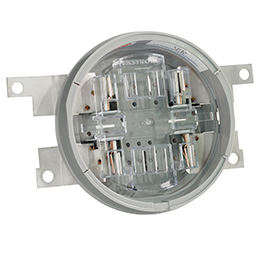 Designed to install single phase socket type meters on bottom-connected overall sheet-metal enclosures where the lowest profile is important. Brooks' 4900 Series Adapter is molded from fiberglass-reinforced polyester and provides a simple and inexpensive means for replacing single phase bottom connected meters with moden socket type meters. Rated NEMA 3R for Indoor and Outdoor use. Allows Class 320 and Class 200 socket- style meters to be installed into existing K-4 400 amp sockets where the full capacity and high cost of the 400 amp meter are not required. 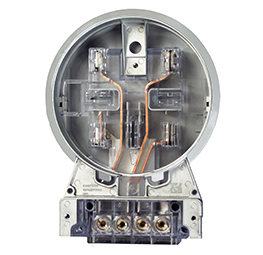 The K4 to CT conversion kit is the single- phase version of our K7 to CT kits. 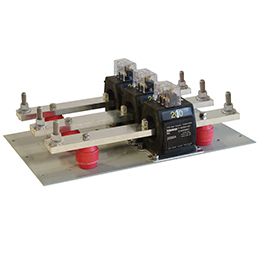 With this addition to our K-Base products, Brooks UPG offers products to satisfy all K-Base metering and conversion needs. 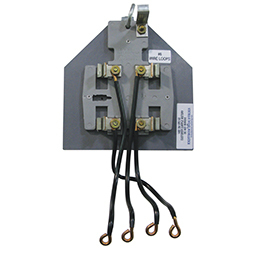 The K4 and K7 to CT kits allow utilities to convert K-Base installations to transformer-rated socket style meters. 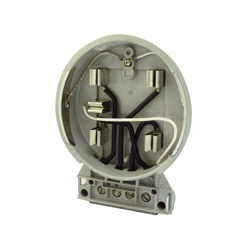 The K7 to CT Conversion Kit replaces expensive bolt-in style meters, and easily fits into the old meter terminal block using the same connectors. It can be used with a CT- rated meter and provides universal mounting options to install new CT-rated pre-wired sockets. Allows for services from 200 through 600 amps. The LP-K4 UL is rated for 320 continuous amps. This low profile adapter is ideal for converting 400 amp service entrances to accept widely used 320 amp plug-in style meters. This conversion allows the utility more freedom when embarking on a meter change out project. *Reduced jaw openings are available on these models. Simply add the RJ suffix to the part number. For gasket option, use G as the suffix. 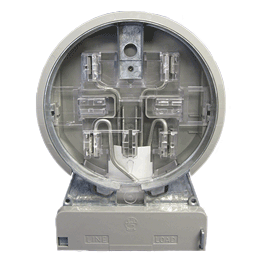 The LP-K4 is among the safest available for converting self-contained K-Base meter enclosures to socket enclosures. 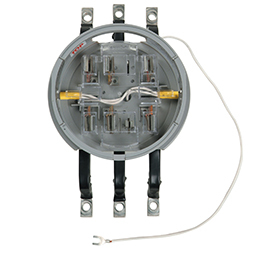 Features a dead-front safety shield for guiding the meter into its proper position. Adapter uses large tin-plated conductors for improved current carrying capacity. 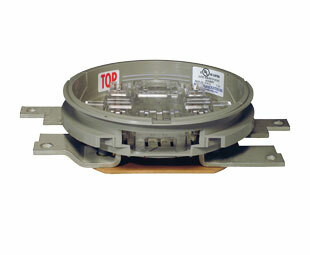 Rated for 320 amps (285 continuous) for a Class 320 meter, and rated 200 amp continuous for a Class 200 meter. The low-profile LP-K7 adapter is a safe and easy way to convert self-contained K7 meter enclosures to a socket enclosure. Featuring a dead-front safety shield for guiding the meter into the proper position. The LP-K7 fits and allows proper clearance for the green plug-in ground feature found on the latest K7 enclosures. Use G suffix for the gasket option. Brooks patented, self-contained Polyphase Heavy-Duty A to S adapter (PHD) with dead- front safety shield is a simple cost-effective way to replace polyphase bottom-connected meters with modern socket-type meters. The PHD fits in the same mounting positions as the original bottom-connected polyphase meter, or can be used in new installations. The PHD features increased current-carrying capacity: 3/0 conductors; copper (200 amp, 165 amp continuous); 600 volt. Adapter is rain tight and rated NEMA 3R for Indoor and Outdoor use. *Each of these adapters can easily be upgraded to optional surge ground and/or a sealing ring. 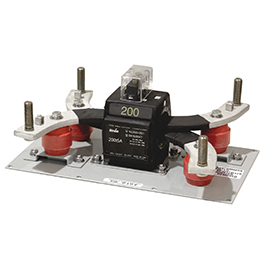 Simply add – G2 to the part number for installation of optional surge grounding system. **Similarly, add – S2 to the part number if you need the 10-9090 Ring installed. 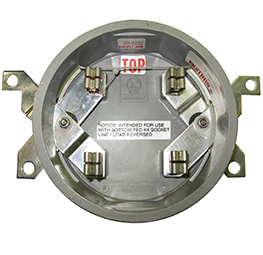 Brooks patented Polyphase Transformer Rated A to S adapter (PTR) with dead-front safety shield can accommodate the latest meter-cabling requirements. 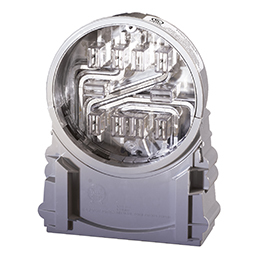 The PTR features the industry’s best terminal block design and unitized surge-ground frame. Adapter is rain tight and rated NEMA 3R for Indoor and Outdoor use. Brooks line of standard, heavy duty and transformer-rated single-phase adapters. 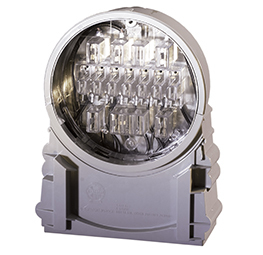 Features dead-front safety shield, injection- molded polycarbonate construction, die-cast grounded frame with sealing ring bonding tabs, and larger terminal collars. Adapter is rain tight and rated NEMA 3R for Indoor and Outdoor use. Many standard models are UL Listed (consult factory).